Mix sheet rock mud or putty with ease! 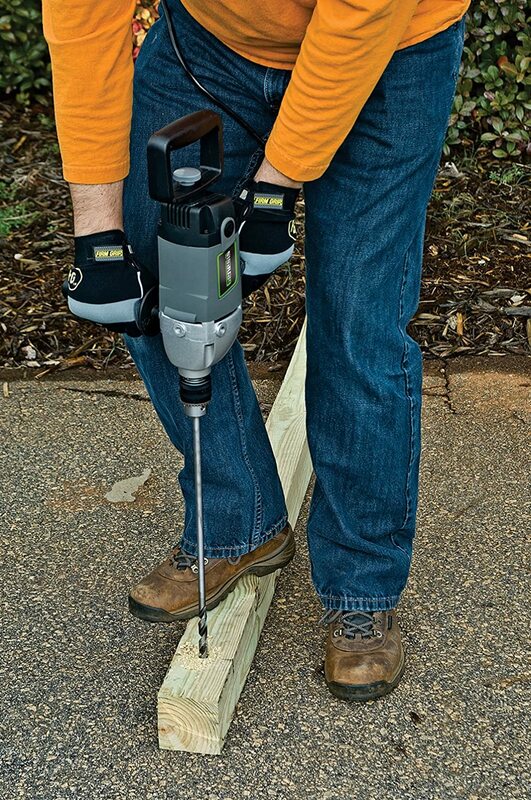 The Genesis GSHD1290 Spade handle drill is great for mixing applications as well as projects that require a larger drill. The powerful 9.0 motor delivers variable speed power through a gear box protected by a die cast aluminum housing. The lock on button reduces effort for extended use applications. Genesis' two year warranty means you can buy with confidence.Mixing drywall mud or paint by hand is a thing of the past. Complete your project faster and with less work with the Genesis 1/2 in. Spade Handle Drill!